I had the pleasure of working with Susan Carr through her important educational outreach with the American Society of Media Photographers (ASMP). She was always generous with her knowledge and helped so many others through her work to increase photographer’s knowledge of best business practices. Susan spent a decade working on a personal project she called her “home project.” These images feature domestic interiors all over the U.S. in which the same family or individual lived for forty years or more. Susan was diagnosed with pancreatic cancer in spring, 2011 but continued her work on the home project until the very end. The self-imposed boundary of working in homes with forty years or more of residency by the same person was set for practical reasons. Any longer and the amount of subject matter available to me became too limited, any shorter and the passage of time didn’t seem sufficiently long enough. I felt a certain number of years living in one place was necessary for a sense of presence and permanence to take hold. Additionally, the limited number of people who reach the forty-year marker in one home places my subjects, to my way of thinking, in an exalted class, said Carr. 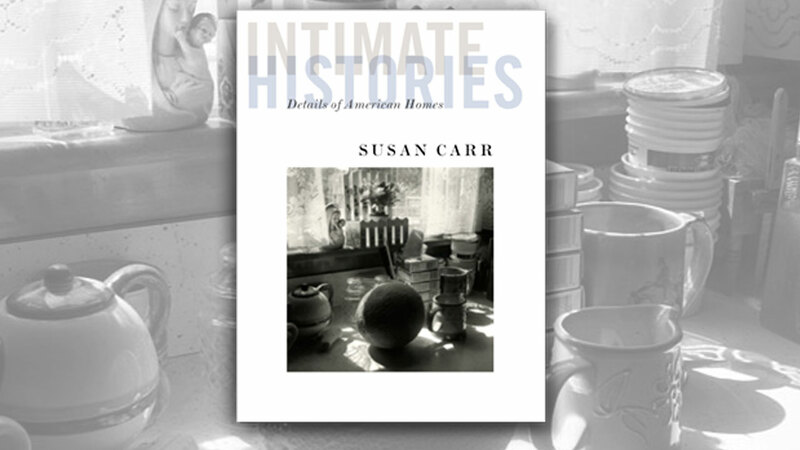 You can preorder the book Intimate Histories: Details of American Homes. The hardcover book contains 140 pages with 80 full-page photographs and 10 double-page photographic details. The fundraising campaign to produce the book runs through October 26, 2013. All monies leftover after the book has been printed and shipped will be donated to The Pancreatic Cancer Action Network, to advance treatment, support patients and create hope. I’d encourage you to look at the project and consider picking up a copy.